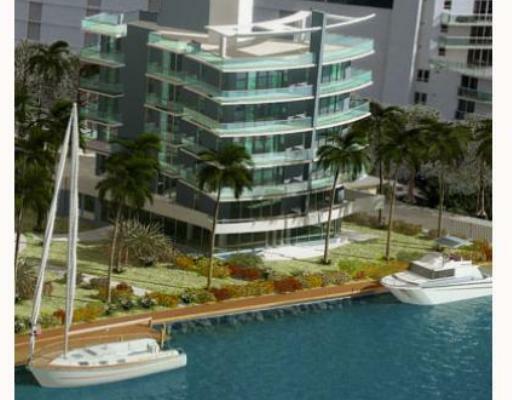 The Ana Capri condo is one of three buildings located in a westernmost location of Miami Beach featuring just five Miami Beach condos for sale within a six story building that's actually part of a group of three structures, the other two are known as Marina Grande and Marina Piccola. Like the name of the building, the details are meant to depict the island of Capri in Italy and the waterfront location adds just the right touch. The Capri community includes several amenities that complement its waterfront location. Cabanas, a towel service, a private fitness center and spa, courtyard, boat docks and a 500 foot bayfront path designed for a leisurely stroll add lots of appeal of Capri. The units have oversized terraces, penthouses with their own rooftop terraces, floor to ceiling windows and much more. Capri is about two blocks away from Lincoln Road, one of Miami Beach's most popular roadways and hangouts where you can dine, shop walk to the beach or just admire the people and sounds. The Venetian Causeway to the north of the building provides an easy way to get across Biscayne Bay and visit the city of Miami to the west. Also be sure to explore the South Beach area and its several hotspots, most of which can be walked to from Capri thanks to its location.